Jupiter, although now well past opposition, is overhead in the evening. 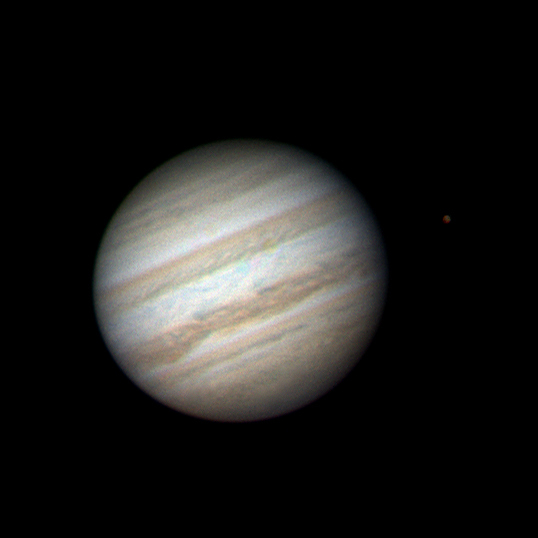 Here’s an image of Jupiter and Callisto taken on October 6th, 2009. A sequence of images taken on October 5th, 2009.